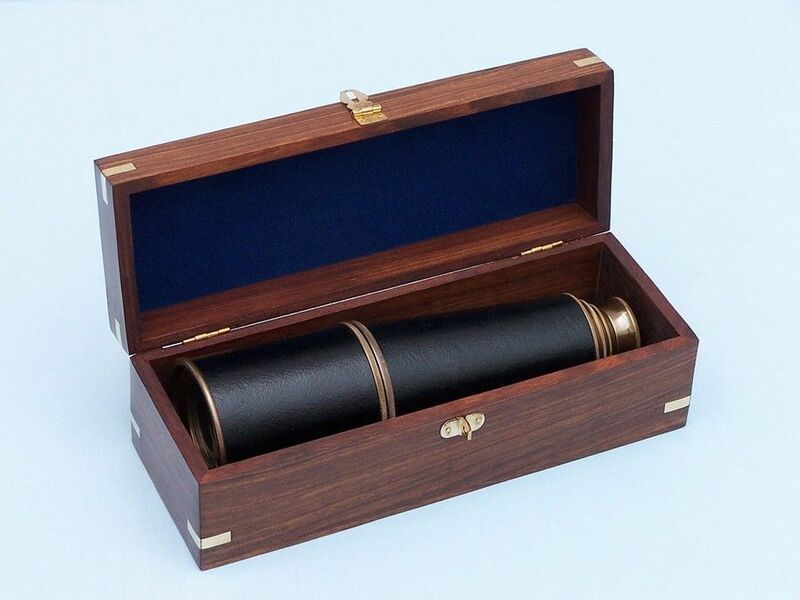 The Admiral's Antique Copper Leather Spyglass Telescope 27" with Rosewood Box is a great gift for a nautical navigator in your family. 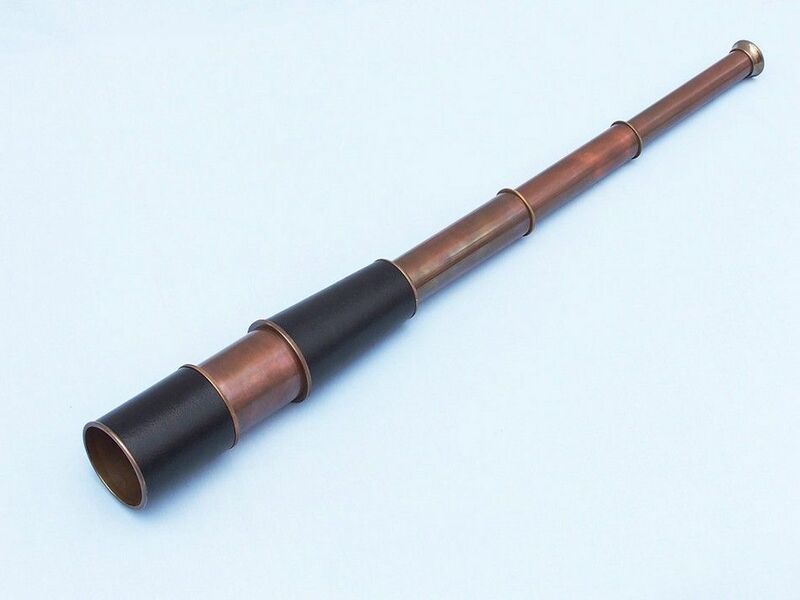 The spy glass measures 27" when its four antique finish copper tubes, which are clear coated to protect the brass from tarnishing, are fully extended. 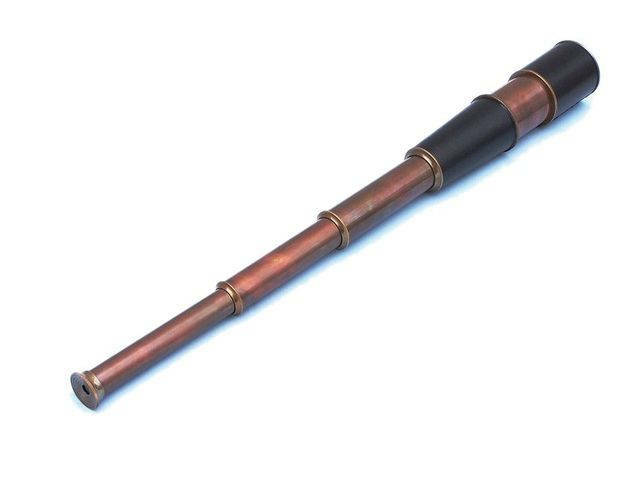 The spy glass is 9" when collapsed and made from 100% solid copper. 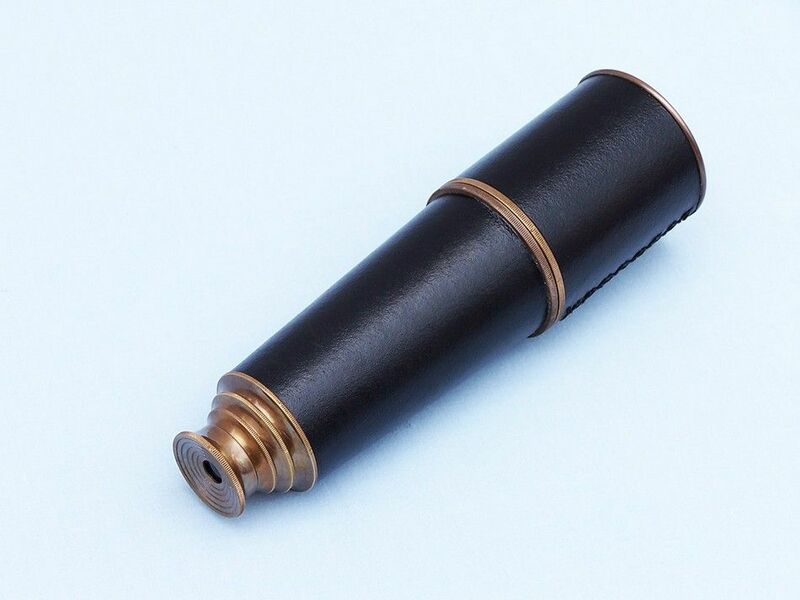 Simply adjust the portable telescope tube length to bring image into clear focus. 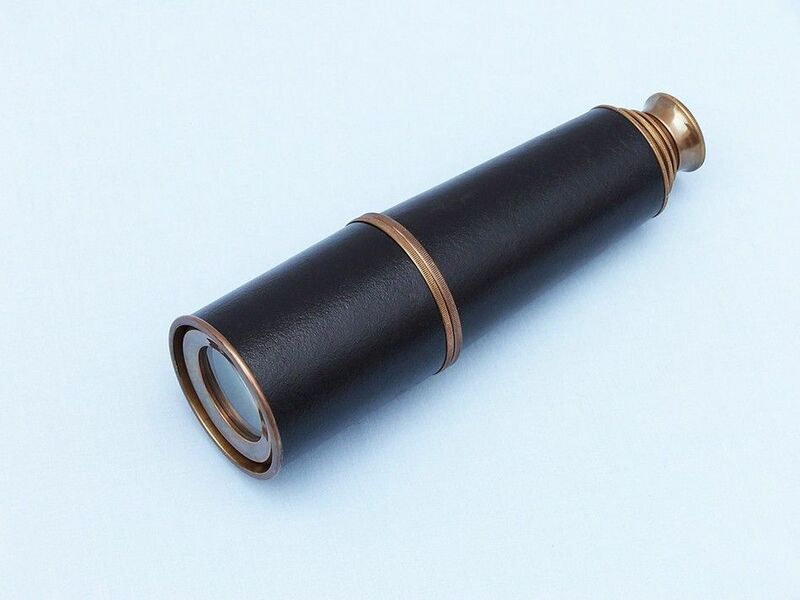 The 27" vintage spy glass is shipped in a beautiful felt-lined brass-inlaid hardwood case. 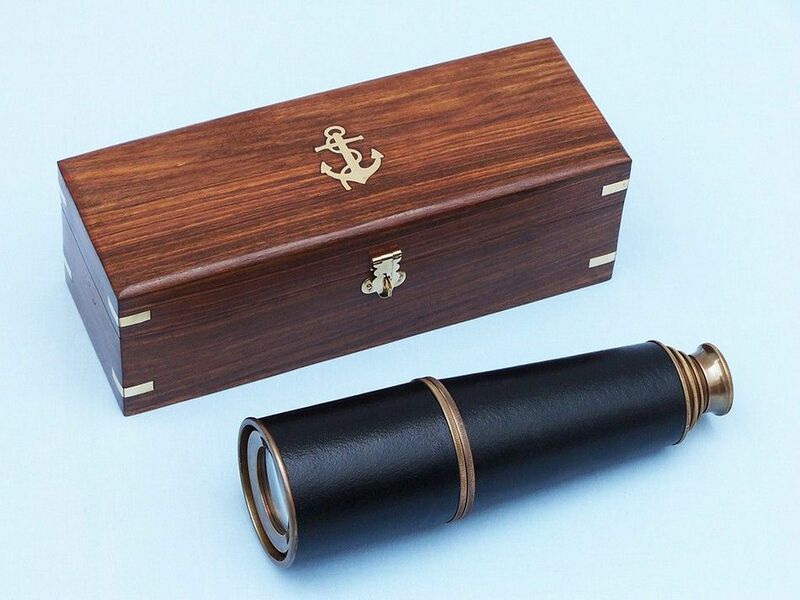 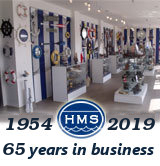 The box features brass side inlets on all sides and the Hampton Nautical solid brass anchor-with-rope logo on the top of the box. 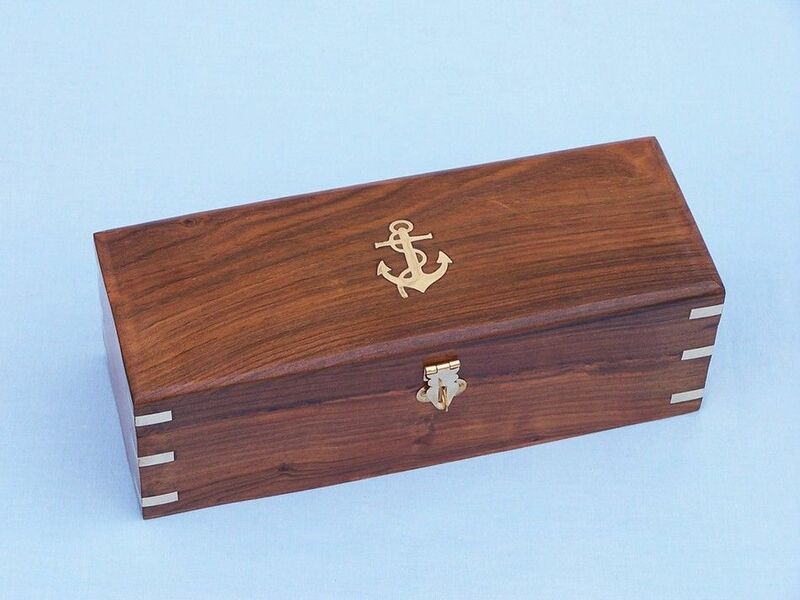 The box is smooth finished hardwood, gloss finished, measuring 9.5" wide with a solid brass clasp in front.